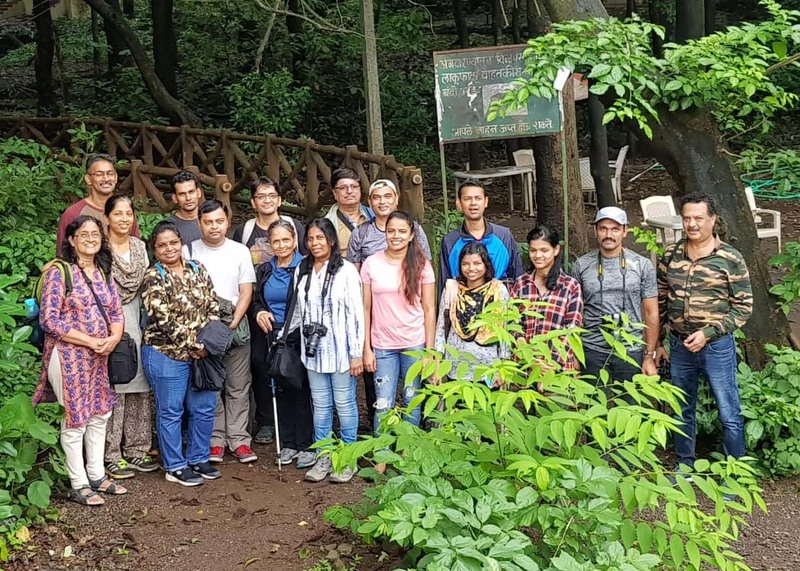 Twelve enthusiastic moth-ers spent the first official weekend of National Moth Week 2018 at the Karnala Bird Sanctuary just outside of Mumbai for an overnight camp devoted to observing moths in a region known for its profusion of exotic species. 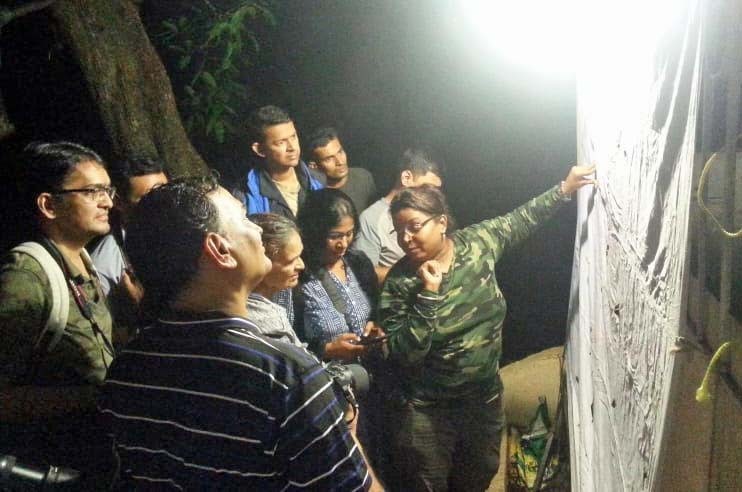 Known as Shubha, she is one of India’s most enthusiastic and knowledgeable experts on moths. She also is the newest member of National Moth Week’s Science Advisory Board. She is the author of the recently published Field Guide to Indian Moths, which took 10 years to research and write. She holds a Ph.D. in Zoology , has studied and worked with the Bombay Natural History Society (BNHS) and won a Hubert Humphrey Fellowship to study conservation education at Boston University in 2009. Shubha’s interest in moths was sparked by a mentor who suggested she research Hawkmoths and Emperor Moths for her master’s thesis. “And I just went with it,” she said. Her research continued through her doctoral studies and soon evolved into a lifelong vocation. On her Facebook page, she is “Ecopreneur Shubha,” founder of Birdwing Publishers, founder and managing trustee of iNaturewatch Foundation and CEO/founder of Ladybird Environmental Consulting. Shubha’s contributions to mothing in India are significant. She was the first to establish mothing as an outreach activity in 2000 when she introduced a hobby course on entomology at BNHS. 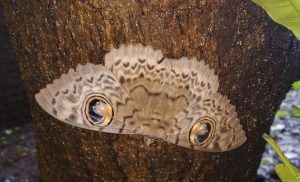 India has consistently had the second largest number of registered events after the U.S.
What accounts for National Moth Week’s success in India and around the world? Shubha is passionate about the importance and enjoyment of studying moths. “In India, three topics rule the conservation world: big mammals, birds and then butterflies. If butterflies are acceptable so should be moths as their ecosystem services are 10 times the same services offered by butterflies,” she says. She believes ignorance has fueled the apathy toward moths. Her recent mothing camp featured walks through the sanctuary and a night of mothing that saw 20 species of moths from eight families land on the lighted sheets.